WOW! What a difference a year makes! The lady on the left was walking her dog last summer. Today, she would be eight feet under water! Incredibly grateful for Mother Nature. 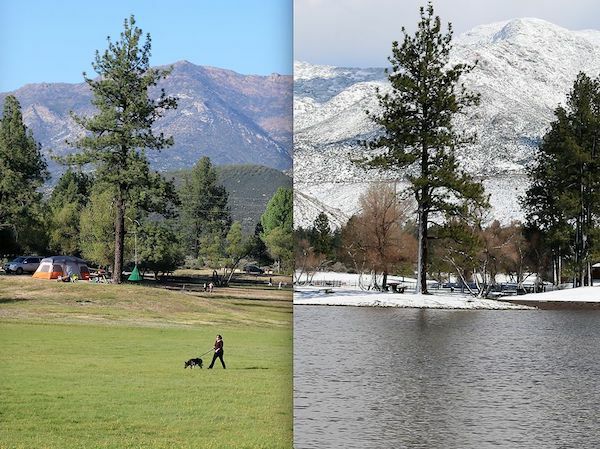 2019 is going to an extraordinary year at Lake Hemet. We look forward to serving you and yours soon! Cheers!